Episode 008 – I’m Writing a Show! In an attempt to create a performance opportunity for herself, Regina has been inspired to write a one-woman show. But the process revealed that what she thought was most interesting about her life was not actually what people were drawn to. In this episode, she reveals what she has learned about herself in this creative process. A few years ago, one of my friends and musical collaborators called me up and said that the night before her boyfriend had this great idea about a show. It would be a show all about me and how I became a singer and sang the Queen of the Night and other general fabulousness. The show would be basically a recital/cabaret where I would basically tell my story in song with music that showed off what I did well. Both he and my friend were really jazzed about it. But I let the idea ruminate for a bit and thought, well, why not? I need to create performing opportunities for myself and maybe this is where I need to go next. The first thing I decided was that I wanted this project to be something very different than is what is typical for a classical singer. I didn’t want this to be just a themed recital where I stood at a piano singing songs and arias and maybe telling a story here and there. And I also didn’t want to do a cabaret which is less formal than a recital but still the same idea, sitting or standing in front of a piano, telling stories and singing songs. So I started brainstorming ideas for this show. A show about me that wasn’t a recital but more of a play. I needed a concept. And after a while I came up with a really cool one! So all I had to do what write it. But here in lies the problem. I’m not a writer. I have no idea how to write a play. I’ve never been interested in writing and I had absolutely no idea where to start. So I took a writing class at the Dramatist’s Guild of America. The class was great and exactly what I needed because we went through very basic writing exercises like write a short episode about an event in your childhood in the first person present tense and then we would have 15 minutes to do it. Or write a rant – something that we are emotional about. Or write a scene inspired by an event in your life with two people but there is only one person one stage. We studied the solo performances of other artists like John Leguizamo, Moms Mabley, Ruth Draper, Eric Bogosian. And at the end of the 10 week course, we had a showcase where we performed 15 minutes of some of the work that we did in class. That was absolutely terrifying. But I did it and people seemed to enjoy it. 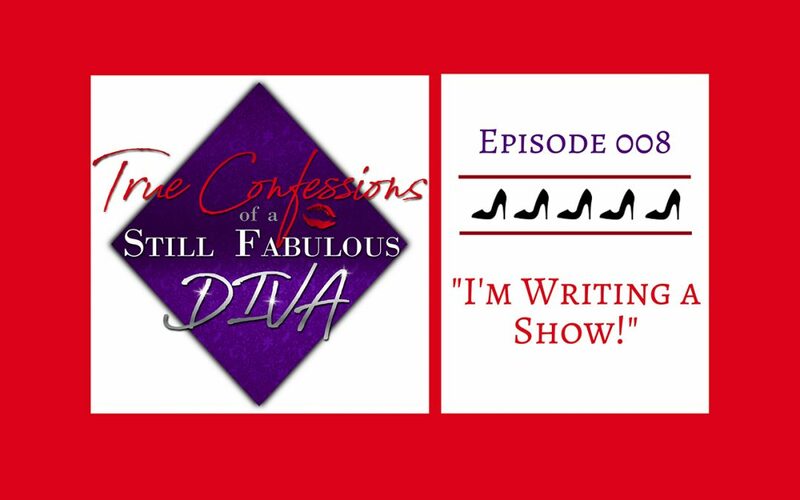 So the exercises in the class led me to write a draft of the original show I was doing which were episodes and songs that told stories from my career and stories from my personal life that focused on how I became the woman I am today. I thought it was interesting but when I took it to my writing teacher, she told me that I actually had two shows there – a career show and a personal journey show. She said that the show about my career was fine but the compelling story was really the story about my life and that is what I should focus on. So yet again, my first reaction is “is my life really that interesting?” If you’ve been listening to these podcasts you probably notice a theme here! Once I actually got over my self-doubt about the interest of the subject material, the process has actually been really cathartic. This is not the show that I had intended to write and definitely not the show I wanted to write. I loved my crazy career stories. I thought they were the most interesting part of me. But my teacher told me that is not the part of my story that is relatable. It is the human story that people will connect to. And while it took a while to accept that, I surrendered to it and opened myself up to my story. Sometimes the thing you think is most interesting about you is not actually the most interesting thing about you. This was a really weird thing to learn. And it is probably something that not a lot of people actually do learn. We are in a “me, me, me” society where we are always trying to control our own narrative and social media is a huge part of that. We control what pictures and media goes out into the world. We post our thoughts and rants. We present ourselves in the world based on our own perception of us. And all of that is important! It’s important to present to the world what we want others to see especially if you are promoting your own brand. But the one thing we don’t do on a regular basis is put ourselves out there so that we can get feedback on how we are putting ourselves out there. If we did, I have a feeling 95% of us would not post MOST of what we post on social media. And maybe there isn’t any need for feedback. We are who we are, we live our lives and most of the time we find comfort in knowing who we are and how we present ourselves. When I surrendered to focusing on my personal story, the feedback I have gotten from my teacher and my colleagues has been more engaging than I could have ever expected. What they say to me is that while the details of my specific story are solely mine, the themes of those stories match up to what they have experienced. When they find that connection, they are more compelled by it. And I have had to figure out why that was the case. I mean, I know that in some ways, we all experience the same things – love, loss, struggle, joy, challenges with relationships, the awkwardness of growing up – but the real thing here is the fact that I allowed myself to show my vulnerability. This iteration of my show, explores who I truly am by what I have experienced in my life and I am putting it all out there. What I thought was interesting about me were all the crazy stories of this larger than life career that I chose. Because it’s theatre in its most fantastical form! But what I discovered was that while that career was/is a significant part of my life, it is really the façade. Fun to look at sometimes but not always relatable. And when I accepted that maybe the most interesting part of me was actually my humanity, it changed the way I saw myself. And I think I’m better for it. So here’s my inspiration for the week: This week’s quote is by researcher and motivational speaker, Brené Brown. 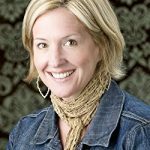 She has written several books on how to live your life with courage and embrace your vulnerability like Rising Strong, Daring Greatly and The Gifts of Imperfection. So don’t be afraid to be vulnerable! That’s the interesting part about you!